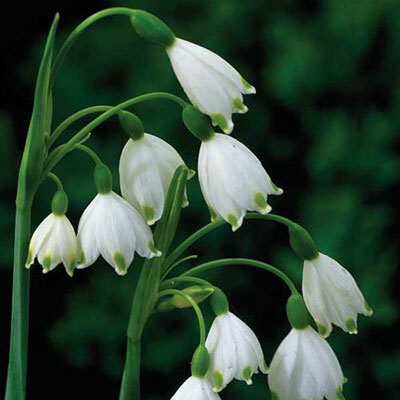 Fragrant, white, bell-shaped pendant flowers on 9-12 inches stems. 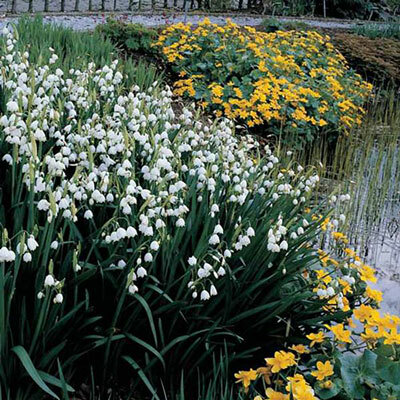 They flower from the end of April through early June. 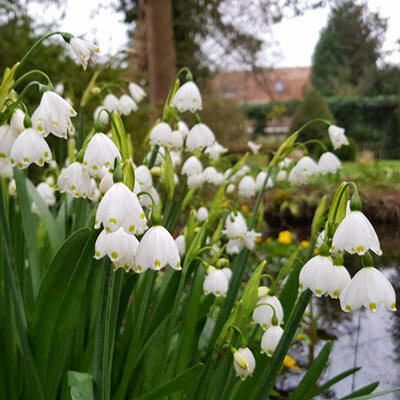 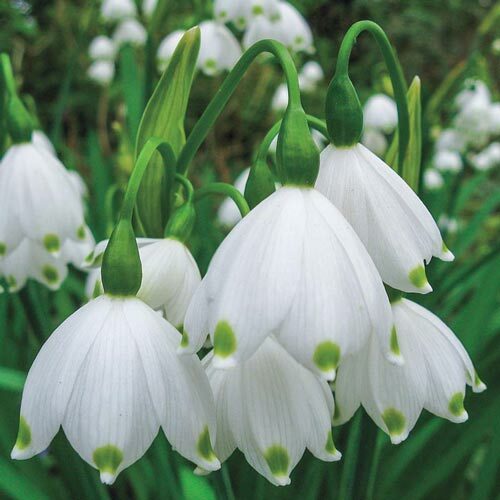 Very hardy bulb and naturalizes well.